Highlights of new features launched at ZenHub over the month of November. 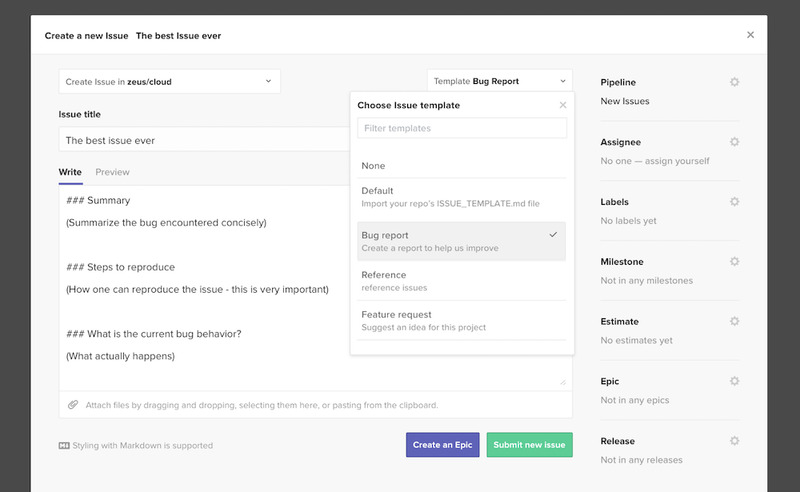 Bug fix When loading the multi-repo merge repo dropdown it will now properly load the repos you have access to. Bug fix When creating or editing Workspace names, you'll now no longer experience an error when loading or saving changes. Bug fix Ghost issues appearing in ZenHub from using GitHub's transfer and delete workflow will no longer occur. When deleting and transferring Issues, they will properly be removed from the ZenHub Board. Bug fix When using custom data ranges on the Cumulative Flow, the report will no longer render sections of the chart as falselly flat. Bug fix When using multi-action to assign new Milestones, all Milestones will now be updated, not just the first few. Bug fix When using the Board search, we were showing copy that you could use a not: option to negate search. This isn't yet supported, so we've updated the UI to inform as such. 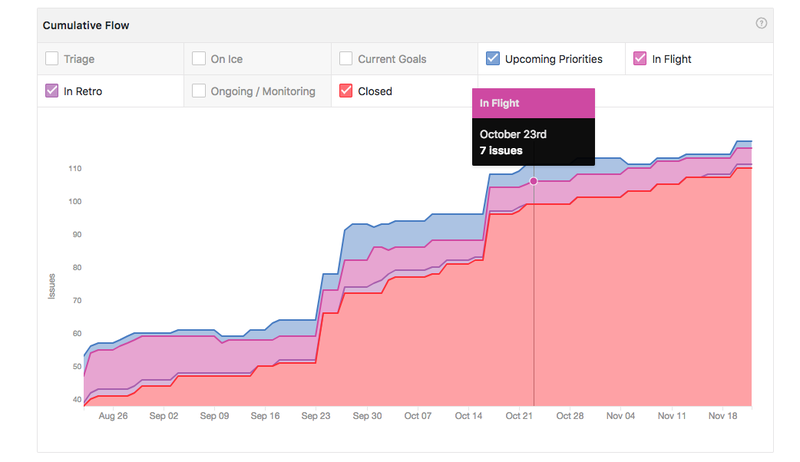 UI Fix Improved Cumulative Flow Diagram interactions make hovering over specific dates easier.